Europe Consultancy operates with a core team of managing partners. Before setting up as executive coaches, trainers and consultants, all had 15+ experience holding leadership functions in the world of international public organisations and corporate companies, as well as in academia. Europe Consultancy furthermore collaborates with a network of inspirational, qualified, experienced, multicultural and multi-lingual associates who deliver transformational coaching and training interventions, as well as consulting services. Our team of certified executive and leadership coaches – headquartered in Brussels and in Geneva – has over 2,000 hours of experience working with people from all walks of life and many different cultural and professional backgrounds. Being cross-cultural through their education and career, they operate in different languages. They put their knowledge and experience at the disposal of senior leaders, middle managers, High Potentials, and entrepreneurs alike. All members of the Europe Consultancy team have the relevant knowledge, expertise and experience to support our client organizations and each of their individual learners in their Leadership and Professional development processes. 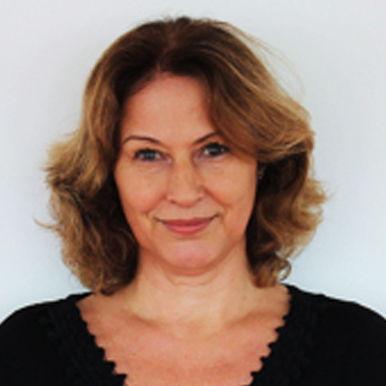 Claudia Ritter is a senior trainer, facilitator, certified executive & leadership coach, and instructional designer based in Brussels and Barcelona. Being cross-cultural through her education, upbringing and career, her expertise lies in delivering a uniquely holistic approach to all aspects of leadership & management, communication, and cross-cultural orientation coaching and training. Claudia’s career has encompassed journalism, and policy and strategic communications. She has held leadership positions in the international public and non-profit sector for twenty years, before setting up as a senior executive & leadership coach and consultant. Her interventions are practice-based and anchored in the reality of international organizations and businesses. At the same time, they are informed by research disciplines including anthropology, positive psychology, brain functioning, thinking and learning styles, cultural intelligence, and emotional competence. Claudia’s strength is working with emergent processes and finding the unique brilliance her clients bring to the table but may not be harnessing effectively. 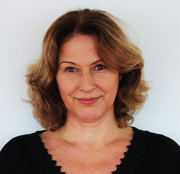 Born and raised in Brussels, Claudia is fluent in English, French, German and Dutch. She designs and delivers coaching and training programmes in all four languages. She is also a proficient speaker of Italian and Spanish, and understands Portuguese. 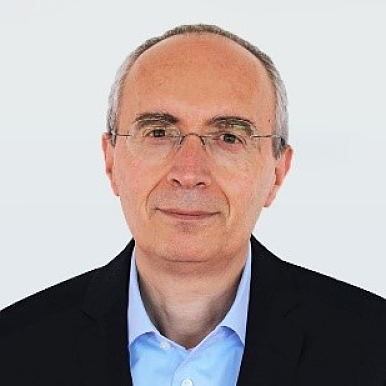 Amedeo Decoro is an Executive Coach, a facilitator and trainer, and an international senior consultant with 20+ years’ experience as a Human Resources Strategic Business Partner in various industries and with exposure in General Management. He offers his in-depth expertise in Leadership, Management and Organizational Development, HR Strategy Design & Implementation, Emotional Intelligence and Team Dynamics Management, Change Management and Corporate Culture, Consultative Marketing & Selling Strategy, Intercultural Coaching, Mind-Body-Energy and Stress Management. Amedeo was born in Italy and lived in several European countries; he has acquired an in-depth multicultural sensibility by working with clients and organizations around the world. He enjoys working in multicultural and international environments to help organizations to implement their mission and strategies by leveraging the full potential and motivation of their people. Amedeo develops and delivers his training and coaching interventions based on his clients’ needs and expectations with a hands-on and concrete approach that gives the participants the opportunity to easily transfer and apply the learning into their professional environment and context. Projects and programmes are facilitated in a very interactive and dynamic way to raise the participants’ self-awareness and involve them in the co-creations of their own solutions and accountabilities. He applies a variety of methodologies and approaches like the positive psychology discipline, the strengths-based practice, the positive assessment and positive interventions, the emotional intelligence practice, the behavioural-cognitive approach, and the spirituality and mindfulness blended approach. Amedeo’s driving values and competencies are: empathy & listening skills, love of learning, appreciation of the beauty, honesty, perseverance and sense of humour. 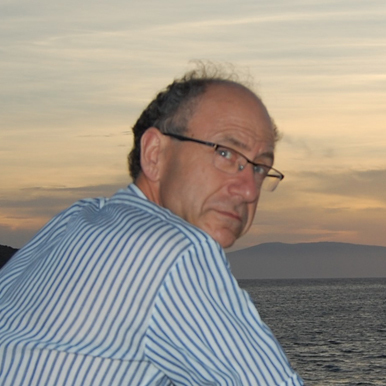 Amedeo works and delivers his coaching and training services in English, French and Italian. He also has a very good knowledge of German and a good understanding of Spanish. 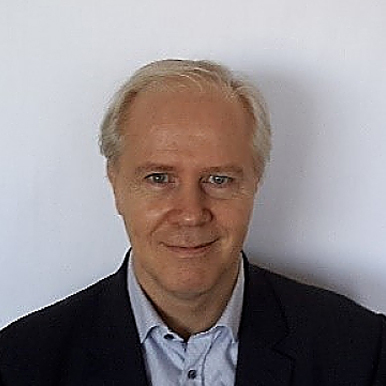 Jens Holmboe Bang works as a senior consultant, facilitator, trainer, coach and professor in Leadership, Management and professional development. In his career, Jens has worked briefly as a corporate lawyer, later on as a European policy advisor. He became a management consultant and held a leadership position before establishing his own consultancy specialising in maximising the potential of humans and their organizations. During the same period, Jens worked as a professor and as responsible for the leadership curriculum for a European MBA and international Executive MBA programmes. Through his research and professional consulting experience with international private and public organizations, as well as his work on systemic organizational level and on individual and interpersonal level, his philosophy for achieving success lies in unleashing the human potential, talent and willingness of each individual. Jens develops and delivers interventions based on evidence based research and experience from the areas of psychology, personality and organizational development, neuroscience, emotional competencies, conflict resolution, negotiation and group dynamics and integrates these principles into learning methodologies that are customised to the clients’ needs. Jens’ core belief is that when humans feel valued, respected, have a sense of using their talents and feel their contribution matter, the potential is there for achieving greatness. Jens actually lives in Brussels (Belgium). He works and delivers his coaching, training and consultancy services in English. He is also fluent in Danish and has a good knowledge of French, Spanish, Swedish as well as a good understanding of German and a basic understanding of Dutch. Alexandre Schramme, who has a Master in European Law, has a solid experience collaborating with International and European Public Sector Organizations and Agencies, in particular in the Learning & Professional Development area (Leadership, Management and professional development Programmes). He has a high level of understanding of needs and expectations of client organizations and develops a strong customer-centric and partnership approach, which allows him to efficiently address the appropriate sustainable and impactful solution to his client organizations. His customers do appreciate his high level of professionalism and commitment at their service. Through his education, upbringing and career, Alexandre is truly multicultural and multilingual. He also has strong written communication skills and is an experienced translator of legal, political, socio-economic and environmental documents, as well as of Leadership, Management and professional development courses and materials. Alexandre’s driving values and competencies are: listening skills, appreciation of beauty, honesty, mentoring support, perseverance and a sense of perfectionism. His dream would have been to be a composer and conductor. Born and raised in Bruges, Belgium, Alexandre is fluent in French (mother tongue), Dutch, English and Spanish. Alexandre has also a good knowledge of Greek and German.